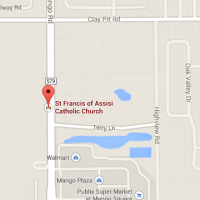 St. Francis of Assisi Parish is a Christ-centered community. We strive to be a warm, friendly and caring parish family, where the gifts and talents of all, young and old, are recognized and graciously used to nurture others, and to worship together in a vibrant and spirit-filled liturgy. We will go forth healed, affirmed and refreshed to meet the challenge of life in our spiritual growth. From Our Pastor Fr. Edison Bernavas, I.C. Today, we hear the rest of the story, and again with the little boy we can now exclaim, “Yes! Totally awesome!” Today, we can again sing, “Hallelujah,” that we have not sung all through Lent. This is the day the Lord has made; let us rejoice and be glad. (Psalm 118:24). Why do we rejoice today? We rejoice because our faith in Christ has been vindicated, truth has triumphed over falsity, justice over injustice and tragedy has turned into victory. The story of the suffering and death of Jesus on Good Friday, is the story of the triumph of falsity over truth, of injustice over justice, of evil over good. Jesus was falsely charged of crimes He did not commit, and unjustly sentenced to a death He did not deserve. His good friend betrayed Him, His trusted companions deserted Him and His number one man denied Him. The people He loved demanded His crucifixion and chose to have the bandit Barabbas released in His place. It is a story of betrayal and lies, dishonesty and meanness, unfaithfulness and wicked violence directed against an innocent and apparently helpless victim. All this comes to a head on Good Friday when we see Jesus scourged, mocked, led on the death march, nailed to the cross where He dies after a few hours and hastily buried in a tomb. If that were the end of the story, that would be a bad story…a tragedy. But Glory be to God it is not! Death is not the end of the story. There is one more chapter. This is the most important chapter because, as the saying goes, ‘he who laughs last… laughs best’. And in the last chapter of the story of Jesus, we see Him rise from the dead in all His Glory and Majesty. He is vindicated. His enemies are shamed and confused. Jesus regains His Eternal Glory with the Father. He is the Lord, Who will prevail over all humankind, His enemies included. For us, His embattled followers, this is good news. It is good news to know that Truth is immortal. We can suppress Truth, accuse it of being a lie, condemn it, torture it, kill it, bury it in the grave, but on the third day Truth will rise again. Remember this and do not give up on Truth even when everybody seems to give up on it. Do not give up on Truth; do not give up on Justice. Do not give up on doing what is right. Even when we are going through very difficult times: through betrayal, unjust discrimination, lies, is representations; even when the enemy seems to be winning the battle in our lives. Today Christ has won. And we know that in Christ we shall overcome. Hallelujah! Praise the Lord! Rosary 30 minutes before all Masses. Confession 30 min. 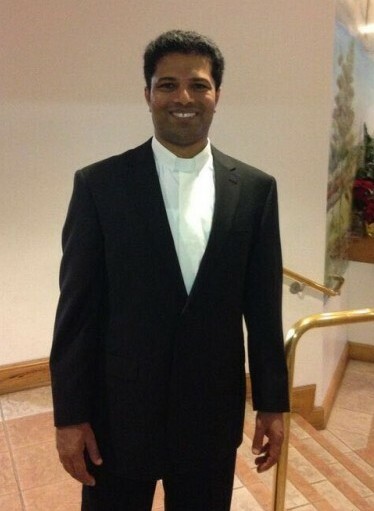 before all other weekend Masses. Rosary 30 minutes before all Masses. Confession 30 min. before 8:00AM Mass only. Rosario 30 minutos antes de cada Misa. We're pleased to announce the availability of FORMED, an online service for accessing thousands of Catholic videos, audios and e-books On Demand anytime, anywhere! Visit us here to sign up for FREE! and put in this Parish Code: Y499KR.